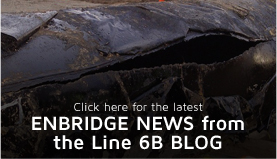 Canadian Oil Pipeline Company Enbridge disregards Michigan Constitution and Highway Act ignoring Brandon Townships' Consent Resolution for highly toxic Tar Sands Oil Pipeline. Article 7, § 29 Highways, streets, alleys, public places; control, use by public utilities. No person, partnership, association or corporation, public or private, operating a public utility shall have the right to the use of the highways, streets, alleys or other public places of any county, township, city or village for wires, poles, pipes, tracks, conduits or other utility facilities, without the consent of the duly constituted authority of the county, township, city or village. 247.183 Public utilities, cable television companies, and municipalities; construction and maintenance of structures; consent of governing body; construction and maintenance of utility lines and structures longitudinally within limited access highway rights-of-way; standards; charges; use of revenue; use of electronic devices within limited access and rights-of-way to provide travel-related information. (1) Except as otherwise provided under subsection (2), telegraph, telephone, power, and other public utility companies, cable television companies, and municipalities may enter upon, construct, and maintain telegraph, telephone, or power lines, pipe lines, wires, cables, poles, conduits, sewers or similar structures upon, over, across, or under any public road, bridge, street, or public place, including, longitudinally within limited access highway rights-of-way, and across or under any of the waters in this state, with all necessary erections and fixtures for that purpose. A telegraph, telephone, power, and other public utility company, cable television company, and municipality, before any of this work is commenced, shall first obtain the consent of the governing body of the city, village, or township through or along which these lines and poles are to be constructed and maintained. In a June 9, 2004 Opinion , the Michigan Supreme Court ruled that Wolverine must obtain the permission of the city of Lansing before constructing a gas pipeline longitudinally in the right-of-way adjacent to an interstate highway where part of the pipeline would be constructed within city limits. The opinion affirmed the Michigan Court of Appeals June 5, 2003 Order that Wolverine must obtain local consent but that such consent need not be obtained before the application is submitted to the Michigan Public Service Commission. 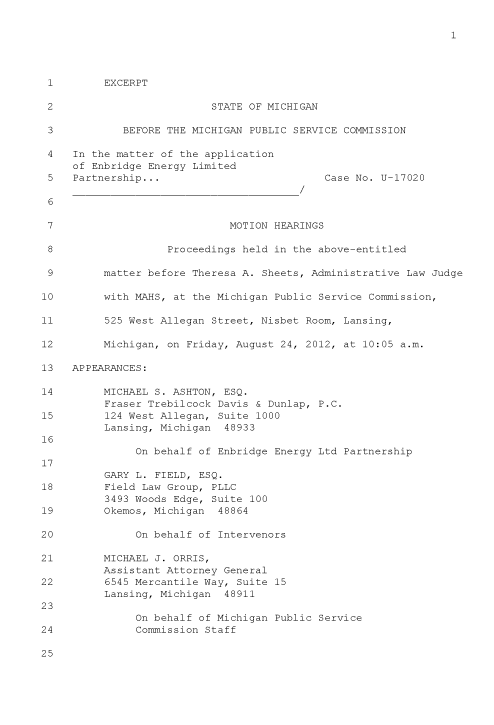 In an June 5, 2003 Order , the Michigan Court of Appeals affirmed the MPSC's appoval of the Spartan Project and concluded that the MPSC's determination that the proposed pipeline is reasonably designed and routed is supported by competent, material, and substantial evidence. The order noted that consent of local goverment is required by statute.